"Don't you see? We're connected, you and me. We always have been. And always will be. So as long as this thing keeps buzzing, I'm going to be here for you." First and foremost, I have not read Conjure and Allure yet, so I jumped right into this trilogy at the end; however, I do feel that Illusion can safely be read as a stand alone novel. 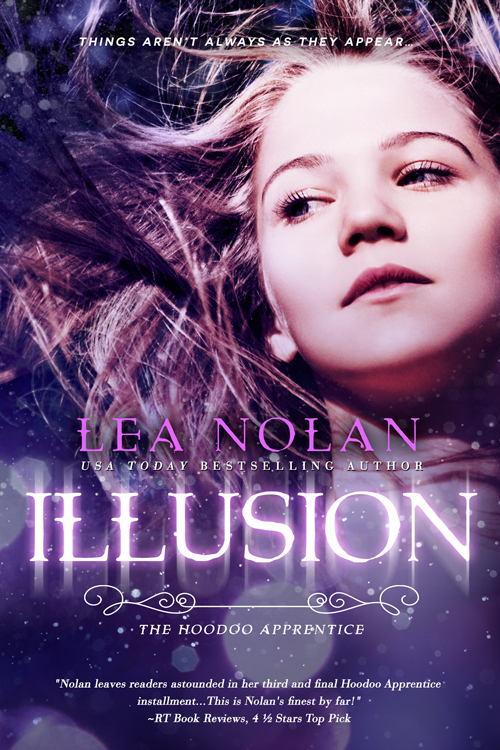 Yes, there was a bit of backstory I felt I was missing, having not read the previous books, but Nolan does a fantastic job of revisiting the important pieces a new reader would need to fully enjoy the conclusion of Emma’s story. I loved Emma to pieces. Loved how she could be a strong protagonist while still retaining the ‘weakness’ of being a young lady with the weight of the world on her shoulders. She goes head on against the temptation of the darker side of her hoodoo powers, constantly facing off against Taneea and Sabina, and the siren call of an ‘easier way’ to get what she wants, and she still sticks with the light. Nolan has created a wonderful world, filled with the age old light versus dark struggle, real characters you can’t help but connect with, even if they piss you off, and a relationship chock full of enough fluffy teen romance to make you see hearts. 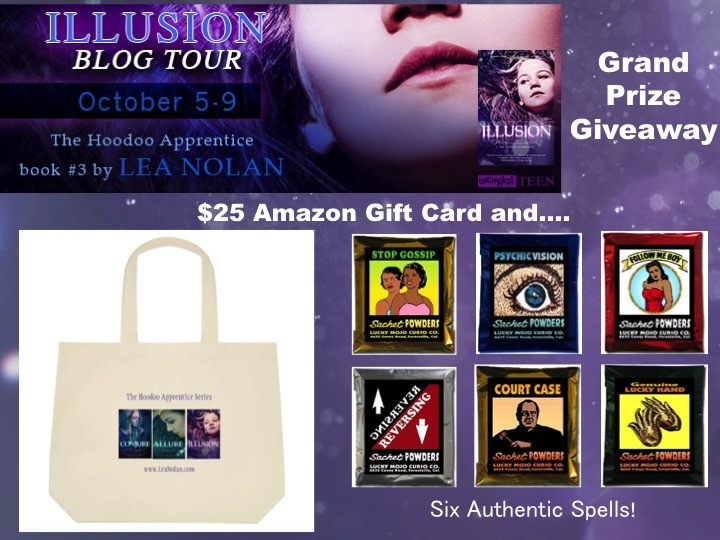 Illusion was a thoroughly enjoyable read, and I can’t wait to get my hands on Conjure and Allure so I can catch up on Emma and Cooper’s backstory. Plus, the new covers are absolutely to die for!